The Axfer Technology looks in detail both at your business and user requirements and by doing so we can write content which is useful and well-structured to meet user demands while considering and providing SEO writing techniques on your website. We will develop a name for your company/product/service. We will develop a tagline/slogan for your company/product/service. A good content writing plays an important role in your online business. We first try to recognize your business needs and then we look at the market dynamics and eventually creating a content structure accordingly. Our website content writing services are marked by thorough research, analysis and result oriented approach. Axfer Technologies provide content writing services for web site owners, developers and site designers who simply haven't got the time to write their own content. We empower web site owners and designers by freeing up their time, enabling them to dedicate efforts to making money from projects. Axfer Technologies have a professional team of copywriters who are continuous observers of SEO industry. Our copywriting services are powered to match volatile behaviour and procedures of prevalent search engines. 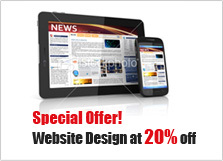 We outclass in giving copywriting services to websites destined for various businesses. The method of creating an authoritative content for your website is supplemented by deep study and analysis on associated keywords, competing websites and precise quantity of content. An efficient copywriting unleashes the strength of website content, the most noteworthy entity of a website. Data is one of the strengths behind a flourishing websites and thus, enlightening content laced around precise keywords may help your website attain new heights of popularity. Thus, we assure our surety and commitment to meet the benefits of your website and accomplish them in most efficient manner. We compose an article for your website, blog, brochure, etc. Other than the superiority of the product, there is something else that makes the client think twice before which is the technical support. The better the support software publishers and shareware authors provide the more users are likely to buy the product. And one way of ensuring that is by providing a right manual which gives the information needed for the clients. Upright documentation can eliminate the requirement for more forms of technical backing. It is, however, not easy to put pen to paper. One of the causes why this occurs is that it is hard for shareware writers or other software brains to put themselves into the users’ shoes, since they are already methodically acquainted with the application. But Axfer Technology can solve this problem by providing you the right documentation/Manual for your services at a very reasonable price.